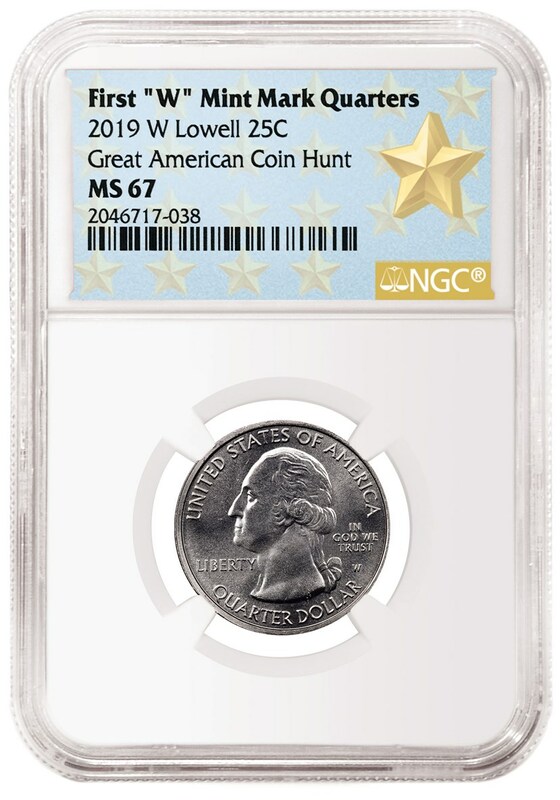 A special NGC attribution, pedigree and label are among the ways coin collectors can recognize these historic US Mint releases. 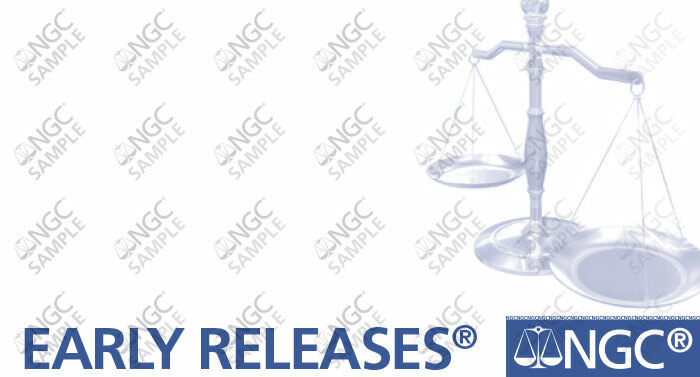 A special fee of $20 per 2019-W Quarter includes Early Releases or First Releases, if qualifying. Special submission instructions must be followed. See the “Submission Instructions” section of this article. The US Mint has announced that limited mintage 2019-W Quarters are being released directly into circulation starting in April 2019. These are the first quarters to feature the ‘W’ mint mark of the West Point Mint, and have a total mintage of just 2 million per design. A 2019-W Quarter shown with a West Point Mint Gold Star Label. 2019‑W Quarters will be made for Massa­chusetts (Lowell National Historical Park), Northern Mariana Islands (American Memorial Park), Guam (War in the Pacific National Historical Park), Texas (San Antonio Missions National Historical Park) and Idaho (French Church River of No Return Wilderness). The America the Beautiful Quarters program began in 2010, celebrating one national park or other federal landmark in each state or US territory. Five designs are released each year, with a 'P' mint mark (if struck in Philadelphia), a ‘D’ mint mark (if struck in Denver) or an ‘S’ mint mark (if struck in San Francisco). The US Mint is striking a total of 10 million 2019-W Quarters and is mixing them in with bulk bags of quarters at the mints in Philadelphia and Denver. The first one certified by NGC was found by actor Shawn Pyfrom. What are the odds of finding one in circulation? In 2018, more than 1.8 billion America the Beautiful Quarters were minted. If mintages are similar this year, then odds are that about 1 in every 180 quarters in circulation with a 2019 date will have the W mint mark. Of course, as coin collectors remove them from circulation, they will be harder to find in pocket change. 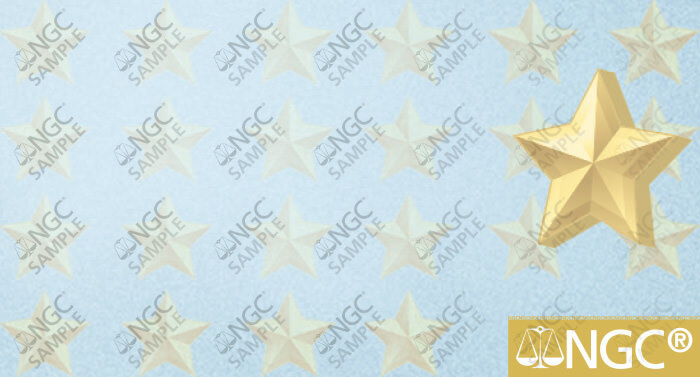 The deadlines for NGC's popular Early Releases and First Releases designations will be announced here soon. Learn more about Early Releases and First Releases here. Submit the 2019-W Quarters under the Modern grading tier or higher. Submit these coins on a separate submission form. The grading fee will be a flat $20 per 2019-W Quarter submitted for the Early Releases or First Releases designation, if qualifying. The grading fee is $17 if Early Releases or First Releases is not desired. 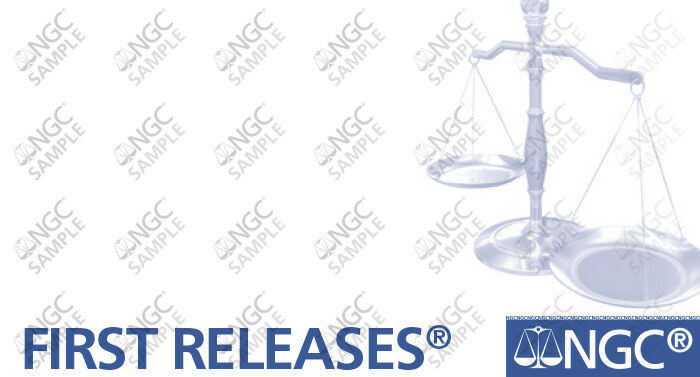 If the Early Releases or First Releases designation is desired, select Early Releases or First Releases on your submission form. If you would like the Blue Early Releases label (shown below), request Blue Early Releases Label #378. If you would like the Blue First Releases label (shown below), request Blue First Releases Label #379. Contact Scott Heller at 941-360-3990 or SHeller@NGCcoin.com or Miles Standish at Miles@NGCcoin.com or 949-922-0515 for bulk submissions. Special labels are available for bulk submitters for each America the Beautiful Quarter design.